Sir John Eliot Gardiner and the London Symphony Orchestra visited Antwerp with a splendid programme of German early Romantic music. They captured the exalted homages from Weber and Schumann to the Germany of olden times in vivid and dramatic readings that made a good case – barring some rough edges – for traditional orchestras adopting period-style influences. Eventually it was a stellar performance of Beethoven’s Violin Concerto in D major by Isabelle Faust that made the evening really memorable. 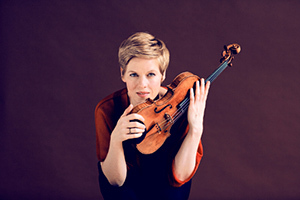 Categories: Concert reviews | Tags: Beethoven violin concerto, BOZAR, Carl Maria von Weber, Centre for Fine Arts, Euryanthe, German romantics, Isabelle Faust, John Eliot Gardiner, London Symphony Orchestra, LSO, Ludwig van Beethoven, Robert Schumann, Symphony no. 3 in E flat major 'Rhenish', Violin concerto, Violin Concerto in D major, Weber | Permalink. Part of an ongoing cycle of Beethoven symphonies from the Symphony Orchestra of La Monnaie under their music director Alain Altinoglu, this concert offset Nos. 1 and 3 with a world premiere by the Swiss composer Richard Dubugnon, called Tombeau de Napoléon. The spirit of the French emperor was, in effect, hovering over much of the proceedings, not only as a direct inspiration for two of the works but, in a less flattering sense, also in the martial approach of some of the music-making. Categories: Concert reviews | Tags: Alain Altinoglu, BOZAR, Jan Smets, La Monnaie, Ludwig van Beethoven, Marc Haegeman, Muntschouwburg, Napoleon Bonaparte, Orchestre Symphonique de la Monnaie, Richard Dubugnon, romantic symphonies, Symphonies, Tombeau de Napoléon, trombone | Permalink. Judging by the many empty seats in the Elisabeth Centre, Antwerp concertgoers may not be very matinal, in spite of the alluring programme – and the pre-concert coffee and croissants generously included with the tickets. Yet those who braved the Sunday morning start were in for a treat. This matinée by the Antwerp Symphony Orchestra (ASO) was dubbed “Alban Gerhardt plays Tchaikovsky”. In retrospect, the performance by the German cellist of Tchaikovsky’s Variations on a Rococo Theme proved an absolute highlight, but at the same time we were introduced to a promising newcomer, the highly-touted Finnish conductor Klaus Mäkelä, only 22 years old, currently Principal guest conductor with the Swedish Radio Symphony Orchestra and soon-to-be Chief conductor of the Oslo Philharmonic. Categories: Concert reviews | Tags: Alban Gerhardt plays Tchaikovsky, Antwerp, Antwerp Symphony Orchestra, Elisabeth Centre, Jean Sibelius, Klaus Mäkelä, Piotr Ilyitch Tchaikovsky, Variations on a Rococo Theme | Permalink. 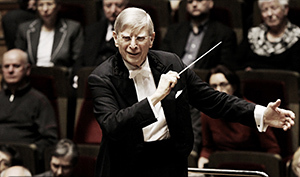 This concert by the Vienna Philharmonic Orchestra under Herbert Blomstedt was part of several events in Brussels focusing on Austrian culture and coinciding with the Austrian presidency of the Council of the European Union. Incidentally, we weren’t treated to an all-Austrian programme, but rather to the current opener of the Viennese subscription concerts which combines a rarity from Swedish composer Franz Berwald and a well-known symphony from Antonin Dvořák, the magnificent Seventh. The Brussels Centre for Fine Arts (Bozar) was transformed into a tiny turf of Austrian Heimat for the occasion by the presence of its most illustrious cultural ambassador on stage, a large number of Austrian patrons attending, and even the unavoidable Mozartkugeln distributed in the interval. Categories: Concert reviews | Tags: Antonin Dvorak, BOZAR, Brussels Center for Fine Arts, Franz Berwald, Herbert Blomstedt, Vienna Philharmonic Orchestra, Wiener Philharmoniker | Permalink. While not exactly a model of risky or unconventional programming, this season opener did include a rare visit by the Deutsches Symphonie-Orchester Berlin, an orchestra with a rich pedigree, and had two of the most in-demand young artists of the day – British conductor Robin Ticciati and Norwegian violinist Vilde Frang – sharing the bill. Categories: Concert reviews | Tags: Antonin Dvorak, Antwerp, Beethoven violin concerto, Deutsches Symphonie-Orchester Berlin, Ludwig van Beethoven, Robin Ticciati, Vilde Frang, Violin concerto | Permalink.